What’s it like to be mixed race in the UK? 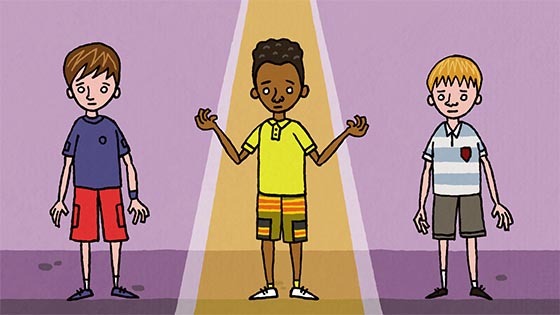 Children from four families talk about some of the prejudice they face, one or two bad hair days but mostly the fun things from food, to football and plenty of travel! These children show how to get the confidence to get the best of both worlds! Our animation intersperses live action interviews with the children. We worked with broadcast journalists Nora Fakim and Sameena Misbahuddin to create these. They filmed the young people and advised on the detail of the animation. 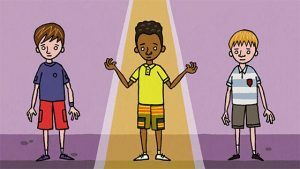 Animation was designed by Fettle’s own Zane Whittingham, with backgrounds from Laura Tattersfield and animation by Ryan Jones, Ged Haney and Mal Hartley.